What Is "The Trick Selection System"? The Game Changing Formula for knowing the perfect trick to show any audience in every situation - so you’ll know exactly how to get maximum astonishment: before you perform a single trick. 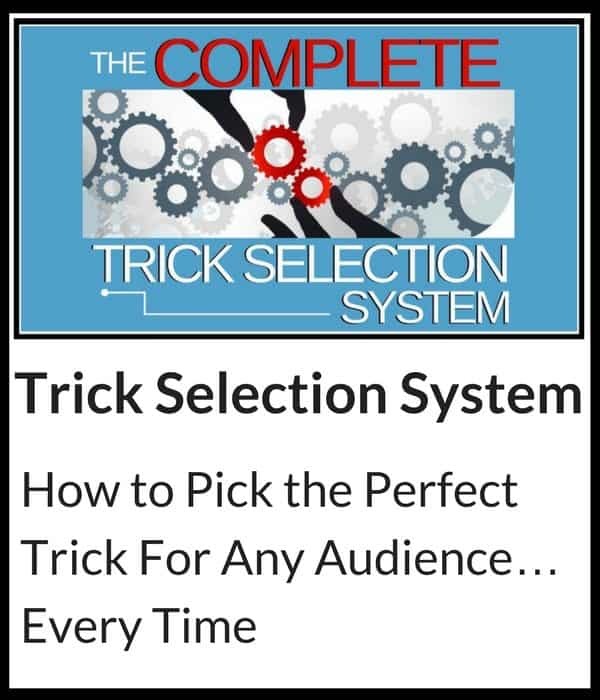 Use our Sequential Trick Selection Tools and guarantee your success before learn or buy a new trick. So every trick you learn will make you more amazing, more versatile and more skillful too (with ZERO dedicated practice time). Just follow along with these easy-to-use worksheets and you’ll know exactly what to look for and what questions to ask when choosing your next miracle. And our entire collection of Easy-To-Do Miracles so anytime you get put ‘one the spot’, you’ll have a guaranteed miracle right at your fingertips. 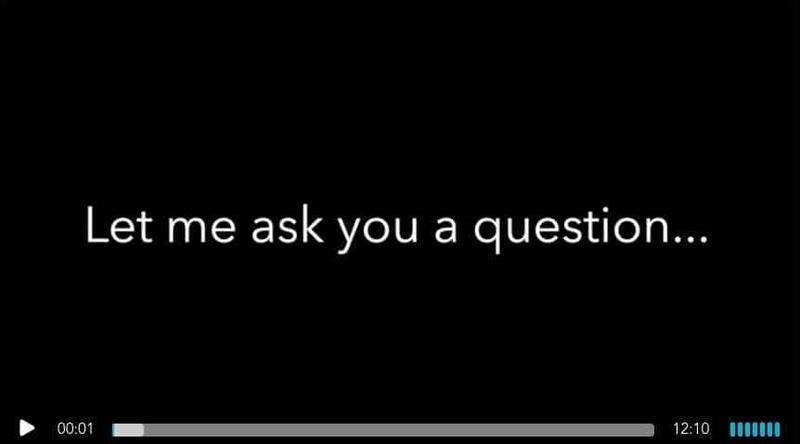 Learn the simple 3 Step Quickstart Optimization System Aaron and the CC Team use get 300% more astonishment out of every trick we perform. Follow this simple formula, and you’ll be ready to astonish with any trick you touch! What's Inside The Trick Selection System? Learn how to discover hidden strategic resources you can use to maximum power out of every trick you perform. Discover exactly what you’ll need to amaze in any environment...so you’re always prepared to make magic. Find out why 90% of magicians fail before they ever show a trick - and the surprisingly easy solution they never discover. Discover how to get into the heads of your spectators, so you always know exactly what trick will work best. Learn to identify the crucial strategic objective for every audience - so your audiences will be more amazed with every trick you do. Save countless practice hours by knowing if you can really use a trick - before you buy it. Discover why one routine does NOT fit all - and how to build a unique routine for any audience ‘on-the-spot’. I used to hate it when people put me, ‘on-the-spot’! Now I always have the perfect trick for any audience and situation. Thanks guys! For years I wanted to build my own routines. Now, I can put together a satisfying on the spot - and my friends have definitely noticed the difference! Discover how great magicians choose perfect openers, and how to apply this proven formula to your own magic. Learn how to choose ‘middle effects’ that engage and excite - and turn cold audiences warm...and warm audiences hot! Discover the secret formula that lets you to adapt any trick to perfectly fit the the routine YOU want to build. The single secret you need to transform any good trick into a completely satisfying climax that can close your show. Discover why you don’t have a ‘skill problem’ - so you can start amazing right away with whatever skills you have. Discover 3 Part Routine Optimization Formula, a simple process you can use to solve any magic problem fast. Learn why most magicians drop great tricks they should keep - and how to streamline your routine in amazing new ways. 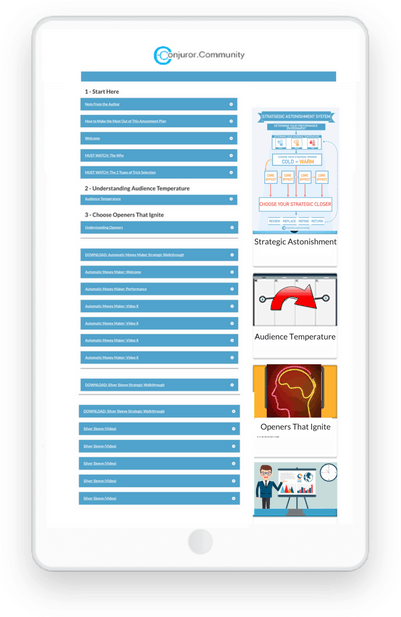 The time tested approach to Build Your Ultimate Routine for ANY audience - using real time audience information on the fly. QUESTION: What is an "Amazement Plan"? ...An Amazment Plan is more like “Video Magic Lecture Notes”...turned up to 11! …all through our own business of performing magic and inventing and instructing magicians. And along the way we have perfected a large number professional routines, and cutting-edge strategies and tactics - and advanced training systems that make magic easier than ever to master and perform with confidence. More importantly, we DOCUMENT each effect, routine or strategy in step-by-step "Amazement Plans" so our best discoveries can be easily replicated by passionate magicians of every experience level. Your login and access information will be sent to the email address you provide, and there will be a video on the next page that explains how you can access the guide inside of our Amazement Plan Library. ANSWER: Yep…all our trainings have a 60-day, no-questions-asked guarantee.